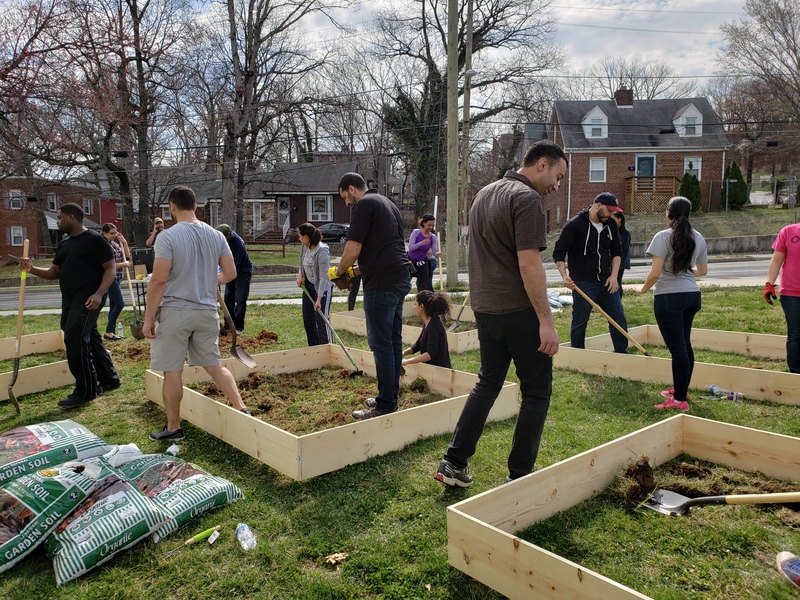 Last Saturday, a group of volunteers from Hope Multiplied spent a sunny morning starting a community garden at Weinberg Commons. Hope Multiplied harnesses the power of volunteers to support nonprofit organizations in the DC area. These volunteers dedicate their time and resources to make a real impact in their communities. 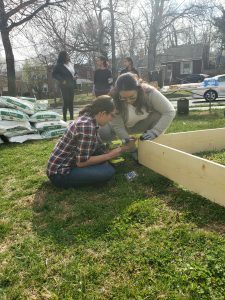 Volunteers used their green thumbs to build five garden plots on Weinberg’s lawn. After the hard work was complete, Hope Multiplied grilled up a BBQ lunch for Weinberg’s families and residents. Weinberg Commons, located in Ward 7, is home to 36 formerly homeless and low-income families. Thanks to our energetic volunteers, families at Weinberg will soon have access to fresh fruits, herbs and vegetables from their own backyard. Our Director of Resident Services, Nkem Offor, and Weinberg’s resident services coordinator, Jamal Alston, plan to grow produce and will also use the garden as an educational resource for children and families. April marks National Volunteer Month, when we celebrate the work volunteers do to support our mission of building thriving communities. Saturday’s event was one of many great examples of the importance of volunteers here at Housing Up. To all of our volunteers, we thank you for your time and most importantly, your belief in our mission! For volunteer opportunities, please contact Julian Peters at [email protected].